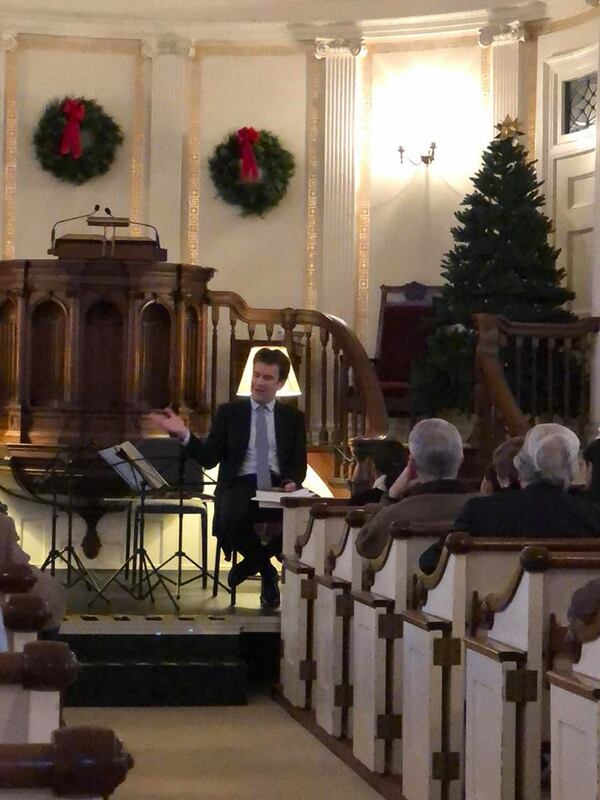 It was a packed house at the exquisitely and festively decorated First Congregational Church of Old Lyme! Our audiences were delighted by Edward Arron’s always interesting pre-concert talks. Many thanks to Pamela and David Thompson, Jr., for sponsoring Saturday’s concert. James Ehnes has established himself as one of the foremost violinists of his generation. Amy is recognized as a deeply expressive artist and known for her musical career of broad versatility. Violist Richard O’Neill is an Emmy Award winner, two-time Grammy nominee, and Avery Fisher Career Grant recipient.